Pagājušā nedēļa nesa interesantas ziņas saistībā ar Mobile. 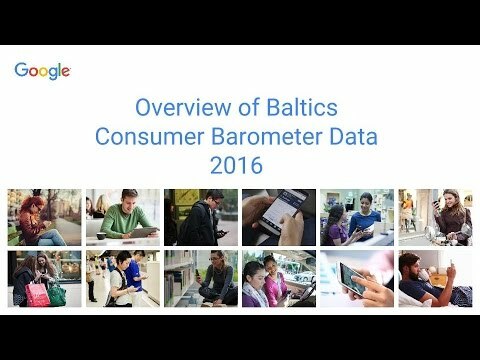 Ja vēlies būt informēts par Google jaunumiem, kas sniedzas tālāk par AdWords, taču kas aizvien var būt interesanti tavam uzņēmumam, šeit ir daži no stāstiem, kas tika publicēti oficiālajos Google emuāros pagājušajā nedēļā. Zemākminētās saites ved uz rakstiem angļu valodā no Google globālajiem emuāriem. To make mobile ad buying seamless and accessible for more than a million AdWords advertisers, today we're integrating our AdMob technology directly into our AdWords system. This enables advertisers to run effective campaigns across the more than 300,000 mobile applications running ads by AdMob—all from within the AdWords interface. As smartphone adoption continues to rapidly increase, consumers are increasingly turning to their smartphones to order phone and internet services. Not having internet in their new apartment is no obstacle for today’s smartphone users. Time Warner Cable recognized the opportunity to innovate through mobile, and implemented a mobile strategy in late 2011 together with digital partners Google and Leapfrog Online. Today we’d like to give you Google’s recommendations for building smartphone-optimized websites and explain how to do so in a way that gives both your desktop- and smartphone-optimized sites the best chance of performing well in Google’s search results. If you were watching the exceptional vocal achievements of the contestants like 100 million Europeans on Saturday 26th, it is likely that you had a smartphone or a tablet device in your hand at the same time. What are the key steps to getting started with marketing attribution? Are you ready to move beyond the “last click” attribution model? How can you use Google’s tools to better understand your customer’s journey and calculate the impact of your digital marketing channels? To help answer these questions, we’ve put together a series of webinars on attribution. Today, we’re taking another step forward with our Street View Trekker. You’ve seen our cars, trikes, snowmobiles and trolleys—but wheels only get you so far. There’s a whole wilderness out there that is only accessible by foot. Today's World IPv6 Launch, coordinated by the Internet Society, marks the day that participating websites, Internet Service Providers (ISP), and network hardware manufacturers switch on IPv6 permanently in parallel with IPv4.